UCM coach trips from Holy Name, in 1961 to Osmotherly & 1964 somewhere forgotten (not sure which is which). 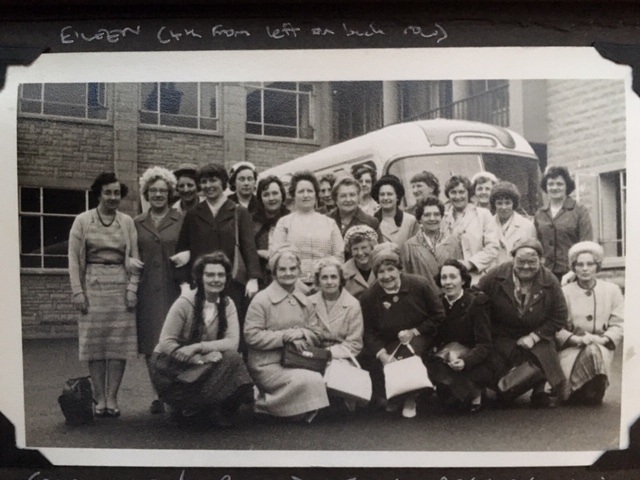 The one with the coach in the picture has Elizabeth Parkinson 1st on left, back row; Eileen Goodyear 4th from left, back row & Kitty Coultas 3rd from left, front row. Perhaps some of our older parishioners might be able to identify others? Eileen is our only remaining Founder Parishioner. 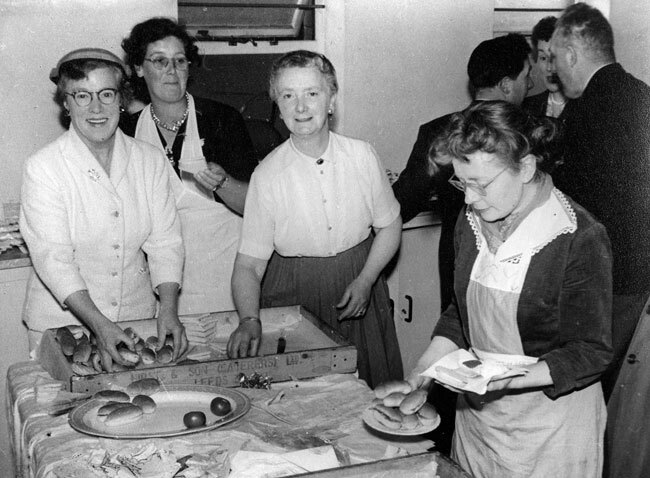 The lady 6th from left on back row reminds me very much of Pauline Claypole, who is the daughter of Bill & Peggy Dargan, so I wonder if that is Peggy? Are you in this picture? 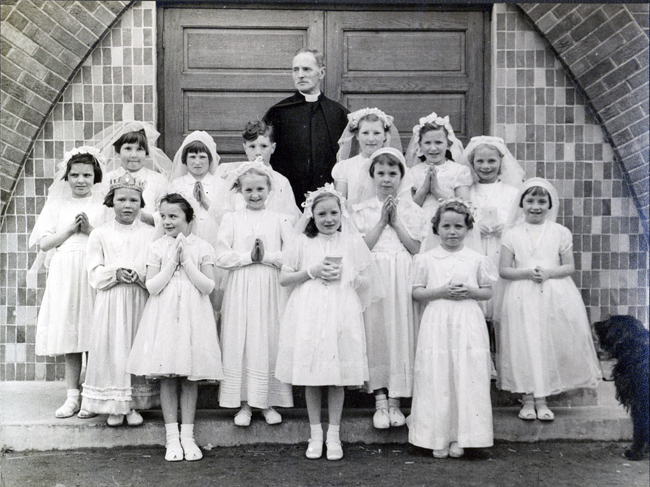 Was there only one lone boy for first communion that year? I was just looking at the pictures on the our lady website when I noticed the question about the lone boy in the first holy communion picture. 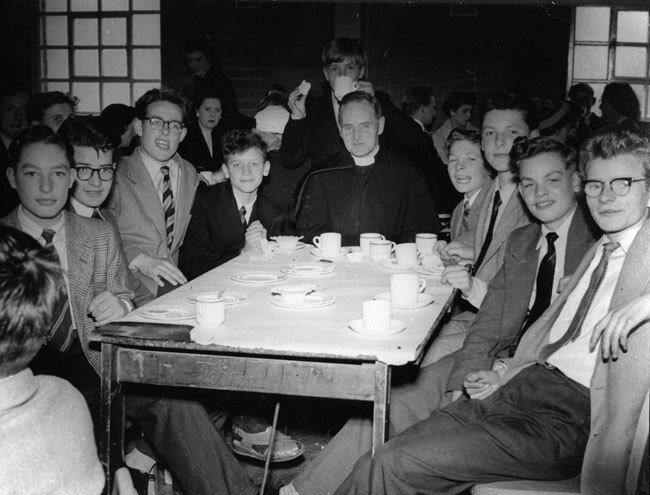 We think its my father, Peter William McDonnell, who attended Bishops House at the time. He is the deceased Grand father of Carys McDonnell who had her first holy communion this year and attends Holy name school. 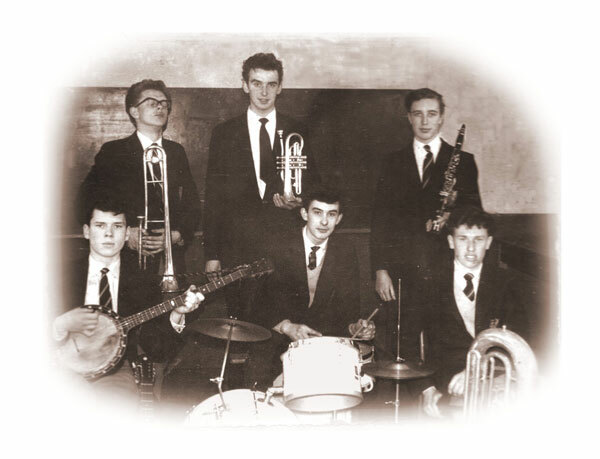 The sender Peter J Shiel (then 18) is the cornet player in the picture, in front of him is his brother Mick (15), the trombonist is Les Sandham (17), Sam Robins (17) on the banjo, John Dixon (17) on the tuba, and UKNOWHO (17) on clarinet. 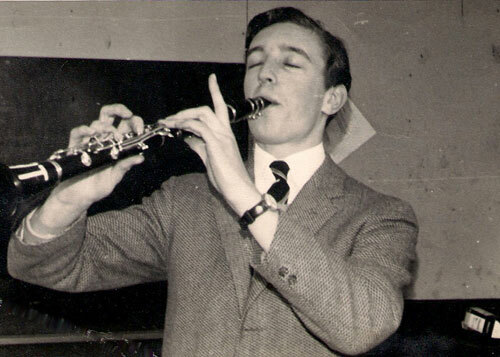 Photographed as The College Jazzmen at De La Salle Boys Grammar School (Sheffield) in 1960/61. 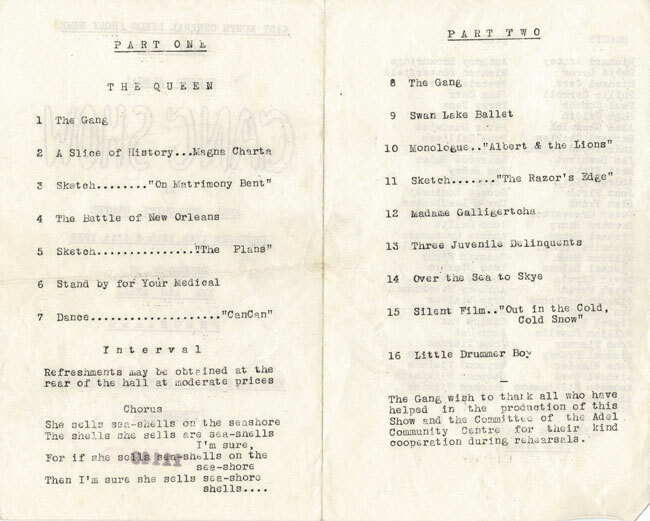 Thanks to Brendan Clarke for digging out these photos. 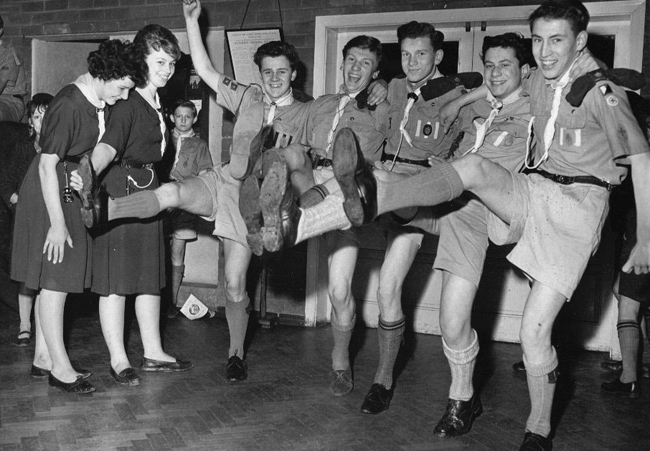 Brendan was in Holy Name Scouts, then named 41st North Central (Holy Name), in the late 50's until 1963. 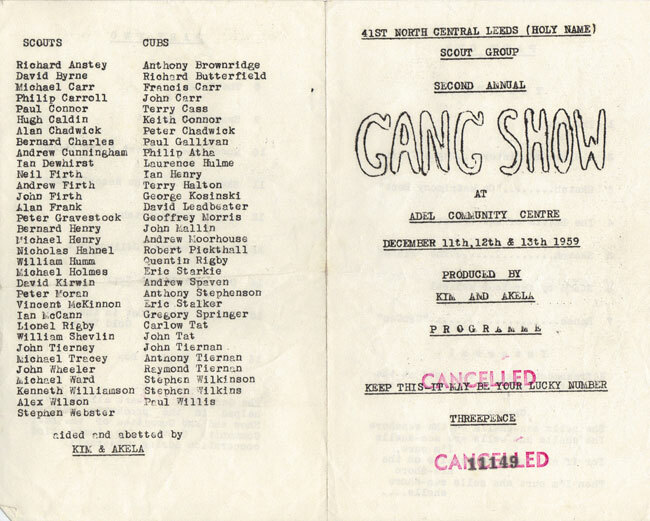 The picture is the Gang Show- 3 April 1962 - Taken in the Church which also at the time doubled as the church hall. 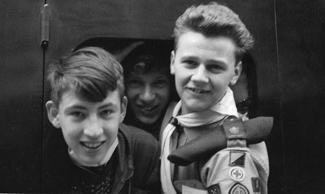 Summer Camp - 1961, Taken at Leeds Station, Pack leaving for 10 day holiday in Ireland. 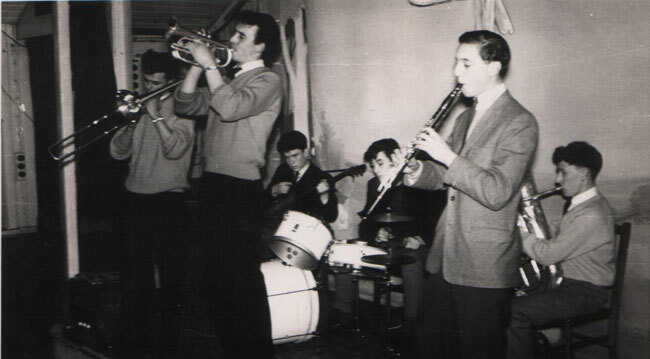 L-R Brendan Clarke, Paul Conner, William Humm.